In an article published by Science Daily recently, it was revealed that up to 70 percent of us will suffer from lower back pain in the course of our lifetime. 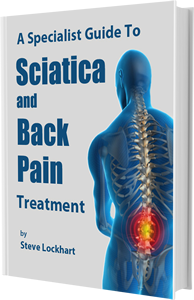 Many of us included in that statistic will experience chronic and long term lower back pain. The Journal of Pain, a peer reviewed publication of the American Pain Society, reported that the more intense the pain is when it begins, the more predictive of future pain and disability it is. Backing this report was a study conducted by researchers at the Arthritis Research U.K Primary Care Centre, the first to evaluate the association between pain at onset and future pain over a five year period. During this time, 488 patients who sought treatment for lower back pain were evaluated – taking into consideration other potential predictive factors including demographic, physical, psychological and occupational factors. The purpose of the study was to establish which prognostic factors best predicted pain and disability outcomes five years later. Participants of the study were measured using the Chronic Pain Grade, a seven-item chronic pain assessment tool and were questioned after six months and again after five years. After six months, the results revealed that sufferers with baseline pain intensity were associated with a 12 percent higher risk for developing chronic lower back pain. Interestingly though, sufferers who believed that their pain would persist reported only a 4 percent risk increase. At the five year mark, baseline pain intensity yielded a 9 percent increased risk for chronic pain, while believing that the pain would persist increased the risk by 6 percent. This research confirmed that baseline pain intensity is a key predictor of future pain and disability and also that patient beliefs that pain will persist for a long time can predict progression to clinically low back pain. ‘back pain’ problem never gets resolved. Studies that accept pain as a given and only worry about how long a person will have to put up with it, are never going to contribute to the re-education of treatment protocols that’s required if we are to achieve what every pain sufferer wants, namely to be pain free. I would be far happier if my tax dollars were being spent investigating treatments that do work and using that knowledge to figure out what changes need to be made to the current education of therapists in order for us to provide the results required by pain sufferers.